Sometimes the best trades are the ones you don’t make. 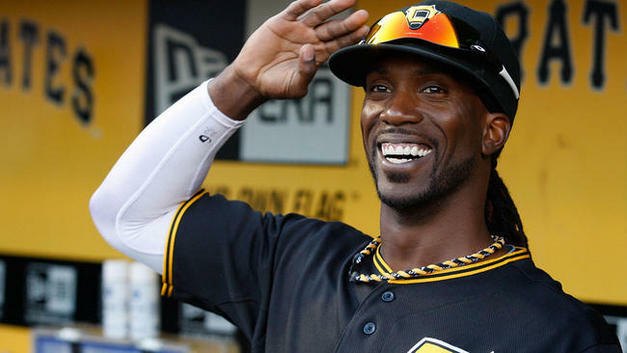 The most coveted & valuable player this Trade deadline (now past), is staying in San Diego. The MLB Trade deadline is about competitive teams gearing up for a World Series run. Everyone talks about ace starters, and they are what’s most valuable during the regular season. But they aren’t what’s available, as RHP’s Sonny Gray (A’s) & Yu Darvish (Texas) topped the list of available starters that actually were traded. Yu Darvish (above) was costly, even as a 3-month rental, but the Dodgers kept their top prospects. RHP Justin Verlander was even dicier for the Tigers, considering his age and contract owed, so he stayed in Detroit. 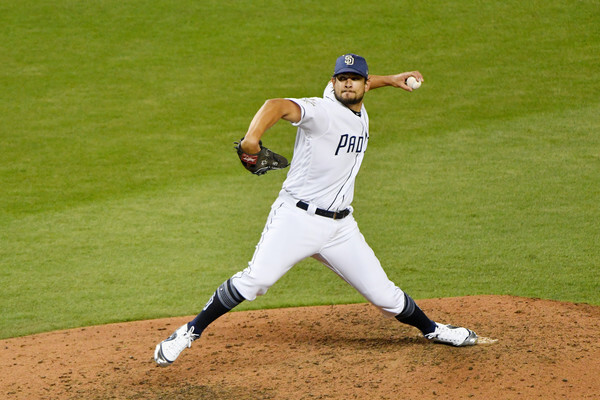 None were more coveted than Padres ace lefty reliever Brad Hand. As we all know, every post-season comes down to the bullpens. Aces can no longer pitch complete games with any regularity, so it’s constantly a battle of bullpens from the 6th and 7th inning on. It’s the team that gets the toughest outs (late) that wins, and that means premium value for ace set-up pitchers. Brad Hand is Andrew Miller valuable (with a better contract), so Padres GM AJ Preller valued him accordingly. There was a precedent set the year before by the Yankees GM Brian Cashman, to extract something similar to what he received in dealing Miller (below) to Cleveland & LHP Aroldis Chapman (a rental) to the Cubs. Also notice in this discussion I haven’t mentioned the value of acquiring a hitter at the deadline. That’s because there is very little. The rule is: acquire only to keep a position from falling into replacement level & adding depth. The exception is: Unless a HOF-bat with some peak years left becomes available. There were no HOF hitters available this deadline. Don’t “acquire a veteran bat” because basically they’re worthless due to bad defense, which means giving up prospects for something that isn’t an upgrade. That’s why OF’s Jay Bruce, Curtis Granderson, etc… attract so little interest. They’re overpaid, overrated players who perform at (or below) replacement level. Teams like the Mets who don’t understand this get stuck with players like these. One way to screw up a promising pitching core is to pay top dollar to put bad defense behind them, and poor hitters in the lineup. The Braves have the same issue. AJ Preller controlled the market, by NOT trading the biggest prize. Detroit’s closer LHP Justin Wilson was the best reliever that was actually dealt (to the Cubs). Baltimore couldn’t deal its lefty closer Zach Britton because of injury issues, as he’s too much of a TJ surgery candidate. In the end, desperate teams had to scramble back to their second options, or worse. See: Nationals acquire closer Brandon Kintzler from the Twins. Meanwhile the Padres retained their ace closer for another season– at least. Brad Hand will get a nice raise in arbitration, while still being an amazing bargain, helping the Padres win games they would otherwise lose. Those kind of players are really, really valuable. AJ Preller set a reasonable price, and no one was willing to pay what Brad Hand is actually worth, so no deal was consummated for the plum relief ace of this year’s trade season. Every contender, save one [!] is going to regret not trying a little harder to get Brad Hand at some point this October. Brewers lost another “must-win” game in their rubber match at Miller Park with the Cubs on Sunday (7-30). Brewers fans can choose to 1) believe in 2017, or 2) notice their righty set-up men all stink, and 3) their starting pitching is breaking down (as usual), with RHP Jimmy Nelson as their only front line horse currently not on the DL. The rest of their starters are mediocre-to-poor. The Brew Crew are also below replacement level at 2B & CF. 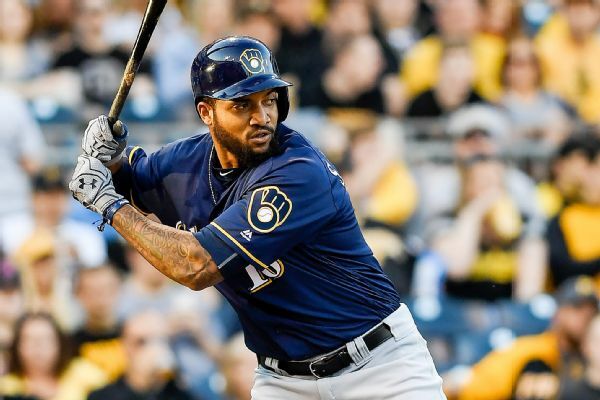 Brewers fans love 3B Travis Shaw (from the Red Sox), and especially RF Domingo Santana (above– acquired in the Carlos Gomez & Mike Fiers-to-HOU deal) because they are both young and productive. 1B Eric Thames had a fluky hot start, but has cooled since; proving he’s nothing the Brewers should invest a future in. RF Ryan Braun can’t stay healthy, so GM David Stearns can’t deal him. Braun’s chronic injuries are turning a Hall-of-Fame productive hitter into an albatross contract for the small-payroll Milwaukee Brewers. There are still too many holes to fill, and neither enough money from ownership to cover to the necessary payroll increase, nor the willingness to pay what it would cost in prospects for Sonny Gray, Yu Darvish & Brad Hand (and that’s just pitching need alone) to stay with the Cubs. The Brewers would be emptying their farm system on what would still be a flawed team, which is a mistake. 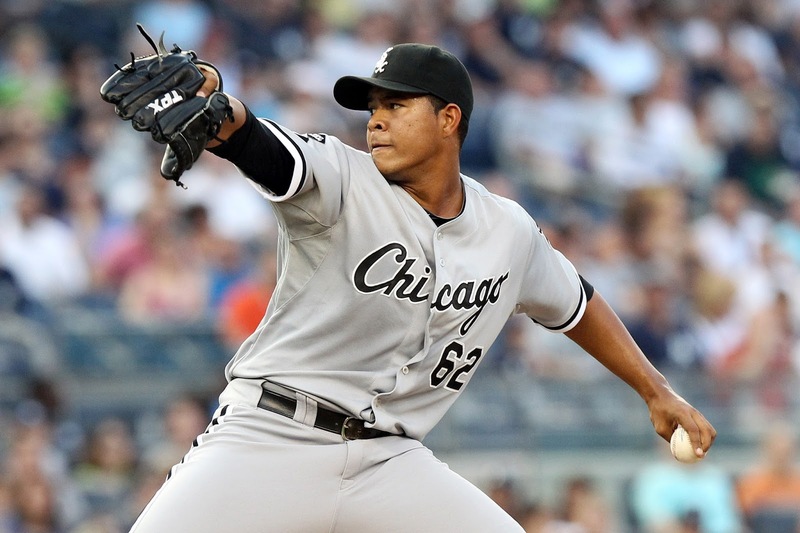 The Cubs probably won the NL Central when they acquired LHP Jose Quintana (above) from the White Sox. Acquiring left-handed reliever Justin Wilson and backup catcher Alex Avila from the Tigers at the deadline filled the Cubs bullpen & depth needs. 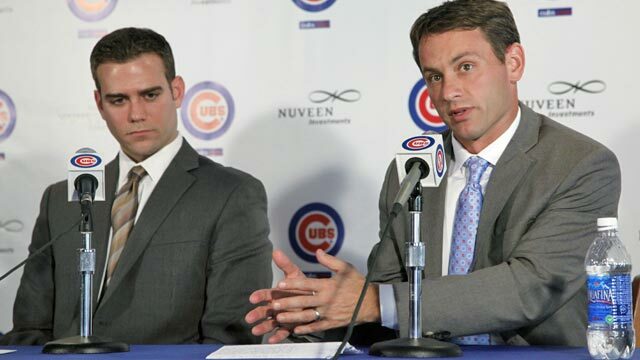 The Cubs have Theo Epstein & Jed Hoyer (below) running the show, which is about as good as it gets for baseball management. They made the best deals to get what they needed at the deadline, and improved themselves the most. Their chances of repeating have increased dramatically, while the cost in prospects was considerable, but tolerable. The truly bad National League teams all currently reside in last place, and will finish there. These are the Phillies & Reds (no surprise), and the Giants which was unexpected. The Phils & Reds are direction-less, lacking leadership at the top. Don’t expect either of their fortunes to change until there are major front office shake-ups. The Giants are now facing a complete rebuild, after a successful run in winning 3 World Series championships in 5 seasons. Giants GM Brian Sabean will need to take a long look at his organization this winter, as their championship window appears to have closed. They now have an aging & payroll-heavy roster that needs to be turned over. In many ways they are simliar to the Cardinals, but in a tougher division. The NL West winner will be the Dodgers, and they will have the best overall record in MLB, which now decides home field advantage in the World Series match-up. More on them below. Both NL Wild Cards will come out of the West, in the Diamondbacks & Rockies– both of which were unexpected. The Rockies have a promising young pitching staff, which is carrying them in 2017. They will need to keep it healthy, and (of course) find an ace in order to take the next step competitively. I have my reasons for pessimism, and it mostly centers around Rockies GM Jeff Bridich’s decision making. The Ian Desmond signing (5/$70M) has been a bust for Colorado (-0.9 WAR in 2017, and currently on the DL). Only 3B Nolan Arenado (below), and SS Trevor Story are young enough to build around. The rest are veterans, some of whom are having great seasons (CF Charlie Blackmon & 2B DJ LeMahieu), but will soon be too expensive and in decline. Another example of how poorly the Rockies spend their money is LF Carlos Gonzalez. In 2017: -1.3 WAR (so far) for $20 million. The Rockies are having a great season (by their standards), but don’t expect a repeat of this team’s success in 2018. The Marlins are impossible to deal with, as long as this team is up for sale. 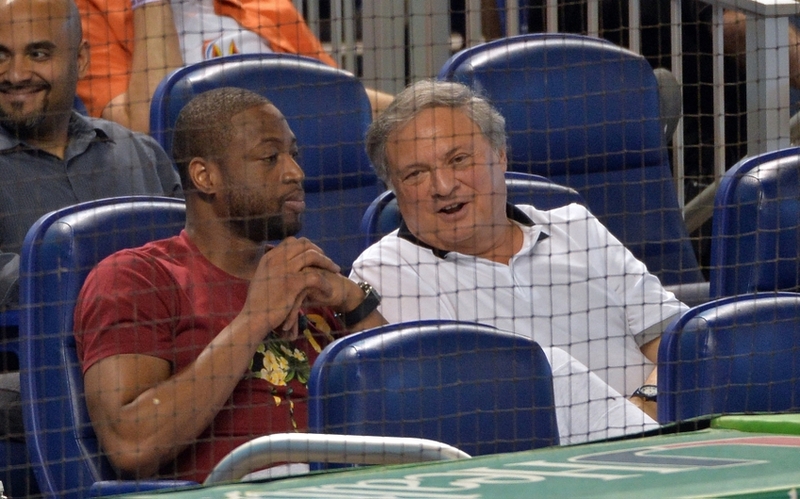 Right now, owner Jeffery Loria (below with NBA star Dwayne Wade) is trying to exploit every advantage in the market to maximize the sale price for his Miami Marlins. That means retaining all valuable assets, so nothing of significant value is moving here anytime soon. This franchise was decimated in 2016 by bad trades, and the tragic death of ace RHP Jose Fernandez. The San Diego Padres are again the outliers among the second-division in the NL, but this time in a good way. They are by far the youngest team in MLB, and yet they aren’t the worst. In the spring, the Padres were universally picked by MLB ‘experts’ to end up with the worst record in baseball– ~66 wins projected by most analysts. They currently sit in 4th place in the NL West at 47-58. Their current .448 winning percentage translates into 72.5 wins over 162 games. The Padres are last in OBP. They have scored only 400 runs, while allowing 533. Their Pythagorean W-L is 39-66, which means the Padres have over-played their W-L record by eight games– so far. Padres are 4-4 in extra innings, and 13-13 in one-run games. Good & bad teams typically split those contests 50-50, which means extreme luck hasn’t been a factor in this over-performance by the Padres. The reason the Padres record is so much better than their numbers is leadership & coaching. 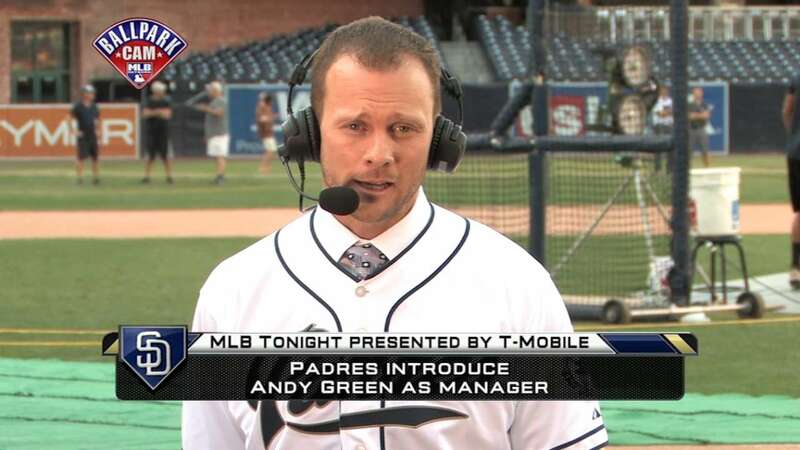 Last season I stated that rookie manager Andy Green was already a top-5 MLB manager. He’s moved up another notch, or two since. Andy Green handled Cubs manager Joe Maddon on Anthony Rizzo’s cheap-shot slide into C Austin Hedges perfectly. Hedges missed a few days with a thigh contusion, while Cubs 1B Rizzo wasn’t suspended by Joe Torre and MLB. Padres fans weren’t surprised by any of this. Andy Green handled it, by not retaliating. This made headlines as Joe Maddon, Anthony Rizzo and the rest of their supporters looked like a bunch of bush-league blow-hards. Honestly, I was surprised by Maddon’s obtuse commentary & apologetics, after the fact. The Padres started the season with three Rule 5 picks on their 25-man roster. All three are still with the team, as SS/UT Allen Cordoba (Cardinals) and C Luis Torrens (Yankees) are earning significant playing time for Andy Green. RHP Miguel Diaz (Brewers) is on the 10-day DL with forearm tightness, and may be shut down for the season. In that event, he’ll only need < 2 weeks with the Padres in 2018, before he’s sent back down to the minors. The point is, all three Rule 5 picks are staying with the Padres, and they won’t lose anywhere close to 100 games, despite what the ‘experts’ proclaimed. 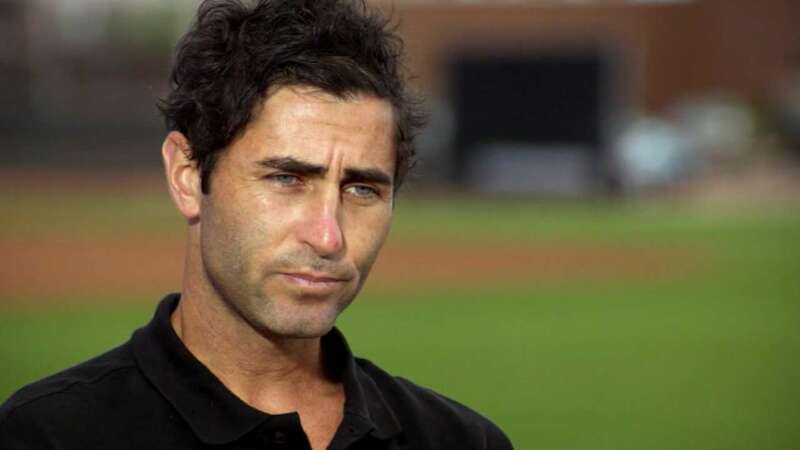 Padres GM AJ Preller signed 4 [!] free-agent starters on one-year contracts this past winter, for <$2M each. Trevor Cahill pitched well-enough to be flipped to the Royals with LHP Ryan Buchter (valuable set-up guy) and Brandon Mauer (useless). In return Preller got LHP Travis Wood to start the rest of 2017 and all of 2018 for $1.5 million, along with a few prospects. That’s called getting ahead of the winter free-agent pitching market, while adding depth to your system. 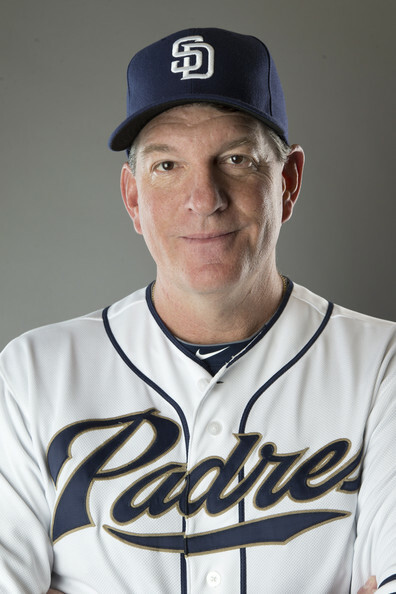 The Padres always presume they can improve a pitcher’s performance, because they have the best pitching coaching in Darren Balsley (above). LHP Clayton Richard and RHP Jhoulys Chacin have performed as expected; innings eaters who get pounded too often. Only RHP Jered Weaver completely busted, and is probably finished for his career. 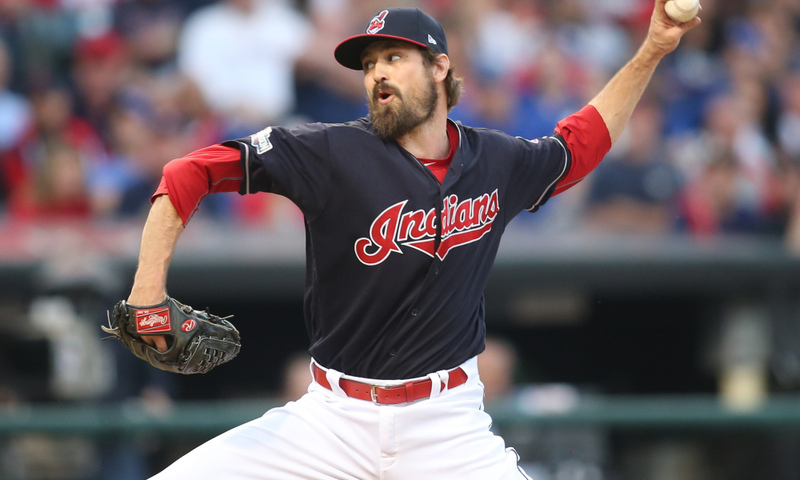 Three-out-of-four on free-agent starting pitchers is an outstanding return-on-investment. This is a developmental year for the Padres, and a big part of that is keeping their young starters (RHP’s Luis Perdomo & Dinelson Lamet) healthy by limiting their innings. This goes for Perdomo in particular, who threw 146.2 innings as a Rule 5 rookie in 2016. In that sense, the innings absorbed by Richard & Chacin have helped the franchise immensely, making their contracts a tremendous value to the Padres. AJ Preller (above) has achieved a stunning organizational turn-around since the end of 2015. New manager Andy Green and longtime ace pitching coach Darren Balsley have worked with Preller in this development of young talent at all their levels. The results are now starting to show in the majors, as the Padres aren’t as bad as everyone claimed and what’s more, they’re also getting better faster than most anticipated. The OBP & SLG they lack in their MLB lineup, along with waves of premium pitching talent, are in the pipeline. Player development, as well as injury management & prevention, will determine this franchise’s fate. A few weeks after the Rizzo/Hedges slide controversy, Los Angeles Dodgers manager Dave Roberts completely lost face in this incident, and was suspended one [!] game by MLB for shoving Andy Green as he was walking back to his dugout. Doc Roberts claimed he felt provoked by what Green had said during their discussion with the umpires. Dodgers fans should be concerned over Dave Roberts’ volatility & decision-making under duress. It’s suspect at best. It’s easy to manage when everything is clicking, so Roberts looks good now and will probably be voted “Manager of the Year” by the sports-writing media. In reality, he’s not even Top-10, if that tells you anything about what you’re told. The Dodgers’ post-season hopes depend (as always) on a LHP Clayton Kershaw, who is currently on the DL with a chronic back issue. 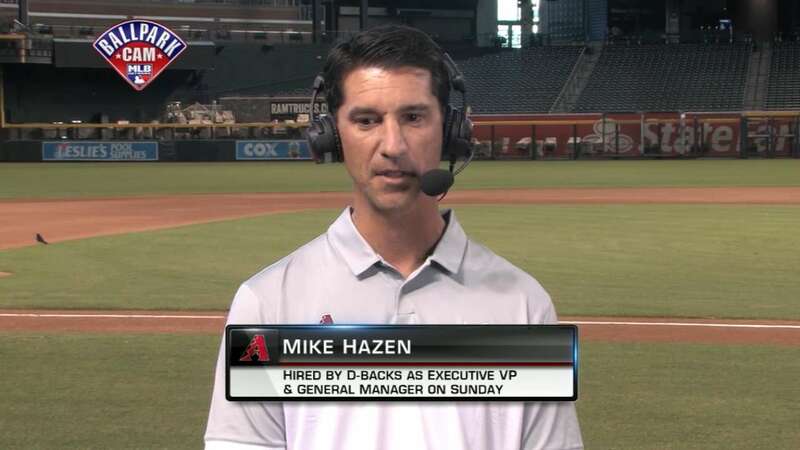 They’ve got a ton of talent and a loaded farm system under GM Andrew Friedman, and have been the best team all season. 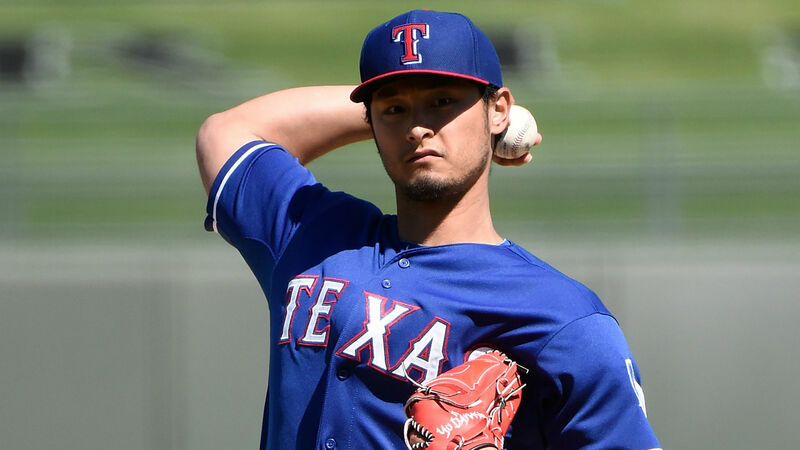 They won the Yu Darvish sweepstakes, while retaining their top prospects, so its their pennant to win without mortgaging the future. Sent to Texas were 2B/OF Willie Calhoun, who was the Dodgers’ No. 4-ranked prospect, RHP A.J. Alexy (No. 17) and IF Brendon Davis (No. 27). Good deal for both sides. 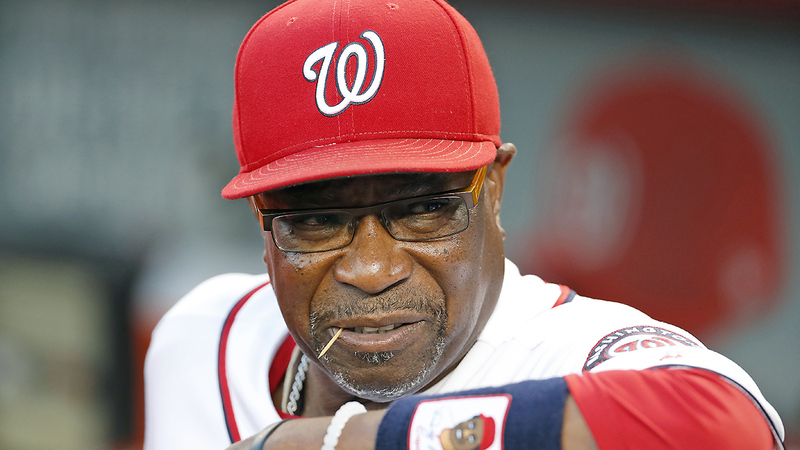 The Washington Nationals will win the NL East, but their post-season prospects are dimming. Already righty starter Joe Ross has been lost to TJ. Ace RHP Stephen Strasburg is currently on the 10-day DL. Max Schertzer & Gio Gonzalez are holding the rotation together, but another major injury will likely doom their WS chances in 2017. Nationals starters (and players) are hitting the DL with regularity again. How bad is it? Veteran RHP Edwin Jackson is now in their rotation due to injury attrition. Meanwhile the Nationals needed relief pitching help more desperately than any other serious contender. They would have had to deal the best of what’s left in their farm system to acquire Brad Hand. Nat’s GM Mike Rizzo instead acquired A’s relievers lefty Sean Doolittle & veteran righty Ryan Madson, along with Twins closer Brandon Kintzler at the deadline. As a rule, quantity over quality doesn’t work, especially in the post-season. All this rushing (and useless “hoping”?) with the Nationals ahead comfortably, holding a 13-game lead in the National League East! And people wonder how Dusty Baker wrecks so many arms? In conclusion, the NL post-season will be wide open with the Cubs having the most complete roster & best leadership, while not necessarily being the best team in 2017. I object to the DH, so I’ll leave the AL discussion– until the World Series. This entry was posted in Economics, Sports and tagged LHP Brad Hand, MLB, San Diego Padres by admin. Bookmark the permalink.